You won’t find many things that are “the norm” at Choice Financial. We do things a bit different here — and our internship program is no exception. With all of this in mind, we developed the Choice Financial Insights Internship: a 12-week program customized to students’ interests and school requirements. What makes this program different? Well, while other internships may focus on one specific role or department, Choice’s program is built on a rotating system. This gives interns a chance to experience various departments throughout banking, financial services, and general operations. When a student is accepted into the program, they’re given a list of all the departments within Choice Financial. From there, they select four areas of interest. This gives them the opportunity to experience departments they’re excited about, as well as areas they may know nothing about. This customized experience gives students a bigger picture of the various aspects of an organization, and how each department interacts to achieve the core mission. Bryce Messner, a 2018 Choice Financial Insights Intern, agreed. “Being able to select different departments of the institution creates a quality experience in learning about your interests,” he said. 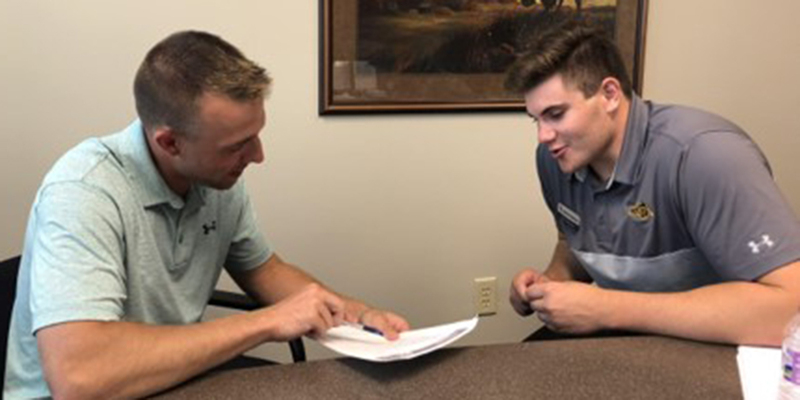 During his internship, Bryce was able to gain insight into Choice Financial’s Credit, Business & Retail Banking, Compliance, and Insurance departments. Throughout the program, Insights Interns are integrated with the Choice Financial team in various ways. These include posting weekly #InsightsInternUpdates on Choice’s internal social network, attending company “Strengths Focus Groups”, volunteering at community service events, and performing individualized department assignments. At the end the program, interns give a presentation for the Choice Financial Executive Team, recapping their experience. So, yes. It’s different than most programs. And at first, some professors and school advisors raised their eyebrows. Now, two years later, the program has proven itself to be a big hit for students and professors from around the country. 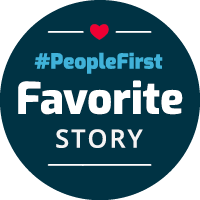 In fact, many are now vocal advocates and proponents of the Insights Intern experience. An even stronger testament to the program is this: almost 50% of the Insight Interns have now joined the Choice Financial team. We are so thankful to have them as part of our family!